Eoin Colfer's Artemis Fowl series was one of my all-time favorites. I loved it so much that I had to share it with friends and family and the mass market edition copies I had disentegrated to pieces that I had to buy hard-to-find hardcover editions. Many years ago, it was announced that a movie adaptation's under way and the casting was already made. I was ecstatic, of course! Who wouldn't wan't to see in wide screen their most beloved series (some of you purist probably wouldn't, but shame on you)? But as time went by it got delayed and delayed until the original cast got older that they couldn't fit in their roles anymore. Fast forward to now, it is a good thing Disney picked up from where the movie previously left off and made a lot of improvements. News about the movie may be hush hush, but I am glad to share with you that the official teaser trailer and poster have already been released by said studio. Watch the teaser trailer of Artemis Fowl the movie. Check out the poster of Artemis Fowl the movie. 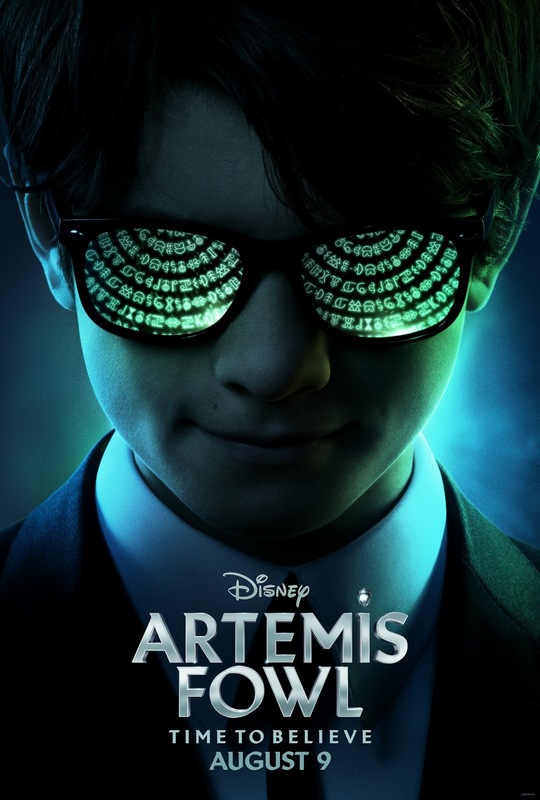 Disney Studio's Artemis Fowl hits theaters on August 9, 2019. A few weeks ago, due to my excitement for The Fall of Shannara series, I almost created a fan-made cover of its third and upcoming book, The Stiehl Assassin. What I ended up doing is a placeholder cover, because I realized I cannot do justice to the beauty of the covers of the previous books. Now, I am glad to say that you and I don't have to wait long to finally see the official cover of the said book, because it is finally here. Check out the cover of The Stiehl Assassin by Terry Brooks. 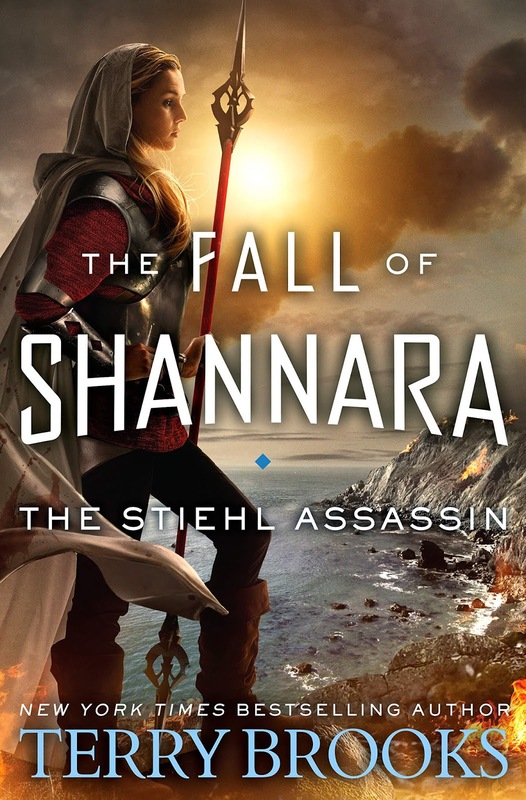 After The Black Elfstone and The Skaar Invasion comes the next chapter in the Fall of Shannara, a saga more than four decades in the making. The Skaar have arrived in the Four Lands, determined to stop at nothing less than all-out conquest. They badly need a new home, but peaceful coexistence is not a concept they have ever understood. An advance force under the command of the lovely princess Ajin has already established a foothold, but now the full Skaar army is on the march--and woe betide any who stands in its way. But perhaps the Skaar victory is not quite as much of a foregone conclusion as they all assume. The Druid Drisker Arc has freed both himself and Paranor from their involuntary exile. Drisker's student, Tarsha Kaynin, has been reunited with Dar, chief defender of what is left of the Druid order, and is learning to control her powerful Wishsong magic. If they can only survive Tarsha's brother and the Druid who betrayed Drisker Arc, they might stand a chance of defeating the Skaar. But that is a very big if...as Tarsha's brother now carries the Stiehl--one of the most powerful weapons in all the Four Lands, and is determined to take his revenge on everyone he feels has wronged him. The Stiehl Assassin by Terry Brooks will be released on June 4, 2019. The story Stieg Larsson's punk hacker character Lisbeth Salander continues with the sixth novel in the Millennium Series. 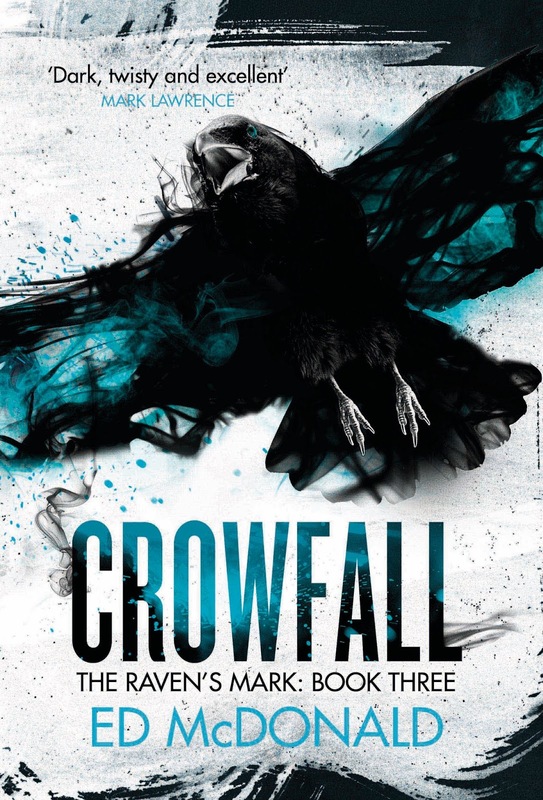 Taken over by author David Lagercrantz the series moves on to greater and deeper thrilling twists and turns that would bring the titular character to territories more dangerous than ever before. With the title The Girl Who Lived Twice this upcoming sequel is already on the rise as a new cover has been unveiled just in time for the movie The Girl in the Spider's Web hits theaters soon, giving more traction to this hit franchise. 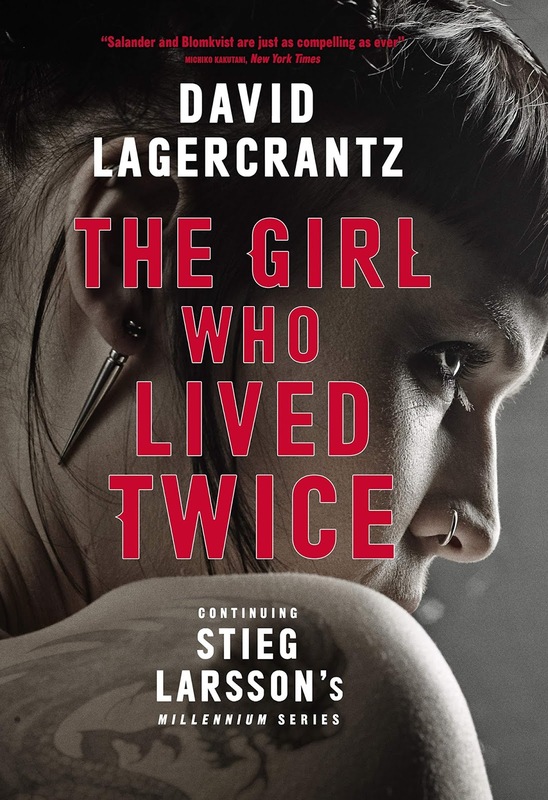 Check out the cover of The Girl Who Lived Twice By David Lagercrantz. The sixth in Stieg Larsson's DRAGON TATTOO series - more than 90 million copies sold worldwide - the crime fiction phenomenon featuring Lisbeth Salander. Book four in the series, THE GIRL IN THE SPIDER'S WEB, is a major film from Sony Pictures starring Claire Foy - out in Autumn 2018. The Girl Who Lived Twice By David Lagercrantz will be released on August 22, 2019. Here it is finally -- the much awaited conclusion to Stephanie Garber's Caraval trilogy. To be released next year, this novel is shrewdly titled Finale, where we will learn the entertwined fate of Tella, Legend, and all the other strange collection of characters that make this series worthwhile. 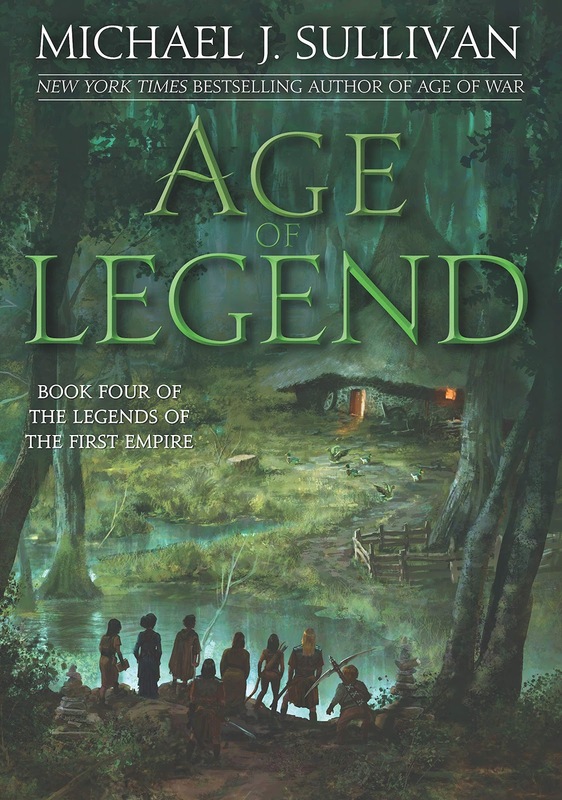 The cover has been revealed for some time, but I cannot wrap my self around it, seeing how beautiful it is. All this thanks to Erin Fitzsimmons, who designed the covers in this series (initially together with her husband Ray Shappell). The "OCD" in me is satisfied. 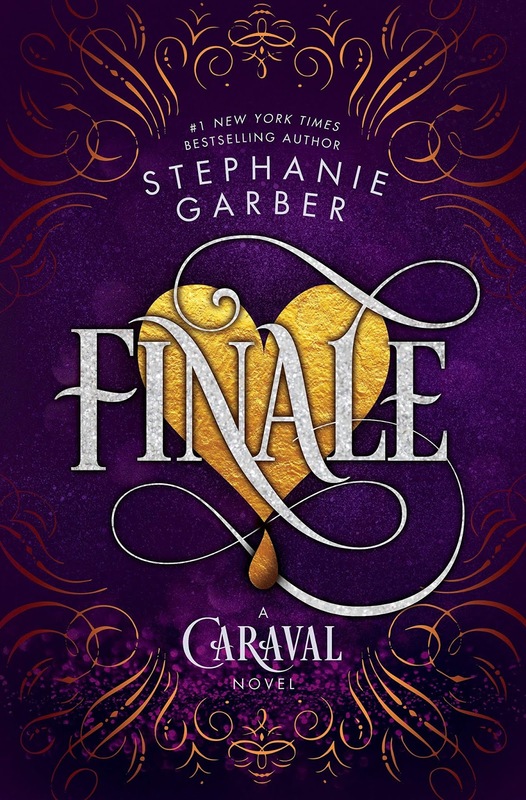 Check out the cover of Finale by Stephanie Garber. It’s been two months since the last Caraval concluded, two months since the Fates were freed from an enchanted deck of cards, two months since Tella saw Legend, and two months since Legend claimed the empire’s throne as his own. Now, Legend is preparing for his official coronation and Tella is determined to stop it. She believes her own mother, who still remains in an enchanted sleep, is the rightful heir to the throne. Caraval is over, but perhaps the greatest game of all has begun―with lives, empires, and hearts all at stake. There are no spectators this time: only those who will win...and those who will lose everything. Finale by Stephanie Garber will be released on May 7, 2019.